Blending in with your environment is your number one priority when hunting deer or other large game. But being unseen is not enough we need to be scent free or smell like our environment. There are ready-made products but I like the DIY angle so that I can smell like my natural environment. This usually means evergreens like balsam fir, spruce, pine, and cedar, though you can use deciduous leaves or forbs like sassafras, sage, or goldenrod. Covering up your scent begins with storage. Hunting season is a short window, for the rest of the time your hunting gear is boxed up in your storage shed or garaged. Keeping them sealed and scent free away from harsh fumes like paint, petrol, grease, and other chemicals means you will have a fighting chance next season. After storage, we need to make sure that our clothes and our body are scent free. This means we need to mask our human smell to that like our natural environment. 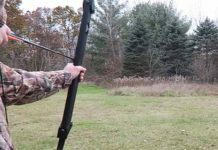 Making our homemade cover scents for deer hunting is easy and cheap so let’s look at whats involved. Hogs and deer have excellent noses to pick up food for themselves and also detect other animals nearby. Pure distilled water – rainwater works well as well. Not tap water as it has chlorine and other chemicals in it. Local pine cones, flowers or natural bark chips if you want a solution smelling natural. Mixing ratios for the ingredients. Take 2 cups of the distilled water and add it to your mixing container. A bucket or drinking bottle works well. Measure 1/4 cup of the baking soda powder and pour it into the container. Next, add 16 ounces of the Hydrogen Peroxide solution to your container. And mix well or a few minutes. This will make a neutral smell solution. 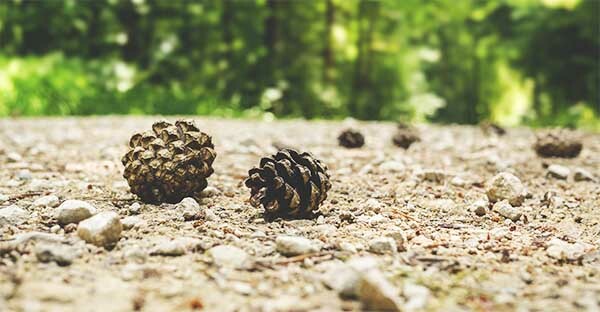 If you want a mild natural smell you can always add in some bark chips, pine cone chips or natural flowers to bring out the aromas. Some of my hunting buddies go as far as blending down the pine chips in a blender and then straining them out of the solution after a few days. Remove the cap slowly and pour the filtered solution into a spray bottle. Never leave the solution in a drinking container for safety reasons. These ratios will scale as well so if you want to make a larger batch just double or triple the ingredients. 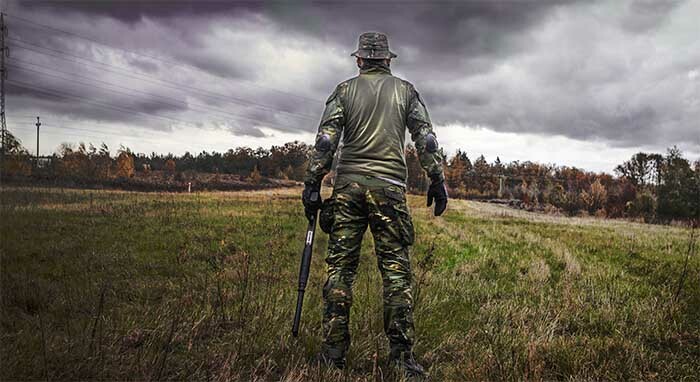 Tips to be incognito to deer, hogs, and big game animals. Always try to stay downwind of deer and pigs as they have an excellent sense of smell. Use a commercial or homemade scent elimination spray on all of your equipment. Camouflage all of your gear from head to foot, to match the local environment. Be as quiet as possible slow movements, whisper and have lots of patience. Never hunt in the same place twice, animals can smell blood even if its old. Hunt near a stream or food source as this will have a more powerful smelling environment to help mask yours. Hunting is all about blending in with your environment. The thrill of man vs beast which often the beast wins. I don’t have the patience to wait for days for a deer to come to me so I’m often out tracking looking for them myself. Smelling neutral or like my local environment is my top priority. Physical hiking work will also mean you will start to perspire. Having some scent free wipes handy to wipe your face down is great in hot weather. But its also handy to use a low odor deodorant. What commercial cover scent for deer hunting do I use? I’m a big fan of the nose jammer natural scent-masking kit. The pack includes some field spray, body wash, deodorant and Gear-N-Rear wipes. Its a do everything kit to keep me smelling natural during my hunting trip. The wipes are handy to wipe down your hunting equipment as well as your bum. Hense the name Gear-N-Rear. Love it. What I like is the way Nose jammer works. Apparently, it has vanillin and other natural compounds common to deer and elk environments. This is made to deliver a smell at very high concentration levels to effectively Jam, and overload the animal’s sense of smell. Nose Jammer totally overwhelms the deer olfactory nasal system and overpowers an animal’s ability to detect and track human scent. But it is not a shock to the deer as it smells natural. I have been upwind of a couple of deer before and they defiantly did smell this product as their noses were all over the place sniffing the air. But they did not run away, so I’m calling this product a success. My uncle got an 8 point antler last year using this product. To me, it has a very sweet smell and I guess that’s why they recommend not to use it in bear country because the last thing you need is for a bear to think you smell like food. 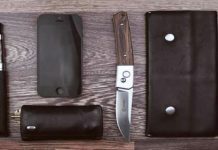 Whether you re an amateur or professional deer hunter many of us seem to forget that we need to cover our scent while on the hunt. I often spend too much time researching the best gear only to leave and forget my scent elimination spray bottle at home. Now I keep the nose jammer kit in my backpack and prepare fresh homemade solutions of scent away spray before a big trip. I still love my old school solution. Stick with what works but also don’t be afraid to try new products. All the best with your hunt and let me know in the comments below what is your favorite big game scent cover spray.